Jonathan Papelbon is throwing back-to-back games for Double-A Harrisburg on Friday and Saturday. He felt fine after 30-pitches, and should be ready for a return soon. Shawn Kelley has been excellent serving as the closer, but he will head back to the setup role in the mean time. If any further issues occur for Papelbon, you know where to go. The Oakland lefty, Sean Doolittle hit the DL with a shoulder strain. This clears things up a little bit, and now Ryan Madson, who is 15-of-18 in save opportunities, will remain the closer. He has a 3.00 ERA, and a FIP over four. He also brings just a 12.4% K-BB% to the table. Not a lock by any means, but he is an option if he is up there. Alex Colome has bicep tendinitis, but hopes to throw this week. This should be a short absence, and Tampa will need him back desperately. There isn't really an add worth, just more so a quick update. 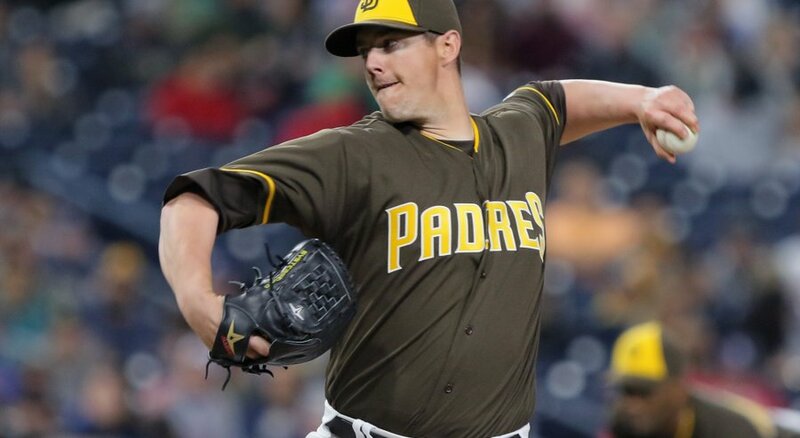 The San Diego Padres were expected to ship away Fernando Rodney and that is what they did, to the Miami Marlins. Ryan Buchter and Brandon Maurer are the two arms to now take a look at. Buchter has been solid, with a 22.9% K-BB%. Buchter has been the better arms, and is expected to get the chance at the job first. Kevin Siegrist hit the DL with mono, so that means Seung-Hwan Oh will get the save opportunities. He has a 26.6% K-BB%, with a 1.58 ERA. Jake McGee has yet to pitch since coming back from the DL, and Rockies manager Walt Weiss said he was not sure if McGee would gain back the closer role. With Carlos Estevez struggling of late, McGee might get another shot. Closers in Coors have a tough go about trying to close out games, but hey it's a job, and they bring save chances. Keep an eye on this situation, if you can stomach the occasional blowup. Both arms have an ERA over four.